There are two legends about the discovery of coffee. Perhaps the better-known one is of Kaldi, the Ethiopian goat herder in the 9th century A.D. His goats had consumed red berries from a bush and began to dance playfully. He tried the fruit and found it bitter but after eating it gained extra energy and he felt more alert. His wife tried it with the same results. They took these berries to a local monastery for confirmation they were a gift from God. The fruits and leaves the monks cooked tasted terrible so they threw them onto a fire to burn them. From what they thought was devilry came a delicious aroma. The idea of roasting coffee and pouring water over it to turn it into a beverage was born—so it is said. 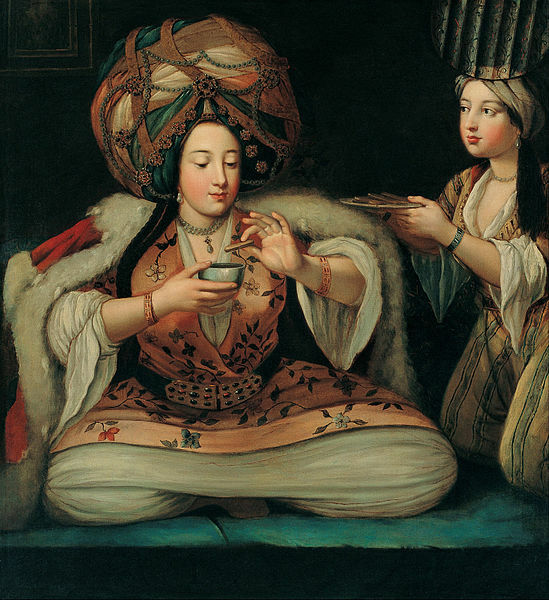 Historically speaking, coffee first appeared in Sufi monasteries of Yemen and spread throughout the Middle East. Yemeni traders first brought the beans from Ethiopia. It’s in Arabia where coffee was first roasted and brewed similarly to how it is today. Eventually, Turkish Muslim slaves on Malta introduced the brew to Europe. Roasted and ground coffee beans were heated in water to infuse them. Whatever container they were boiled in, the main task was to pour out the beverage while trapping the grounds. The means haven’t changed a lot but the method has evolved over the centuries. Fast forward to France, where coffee drinking took quite a hold on the culture. 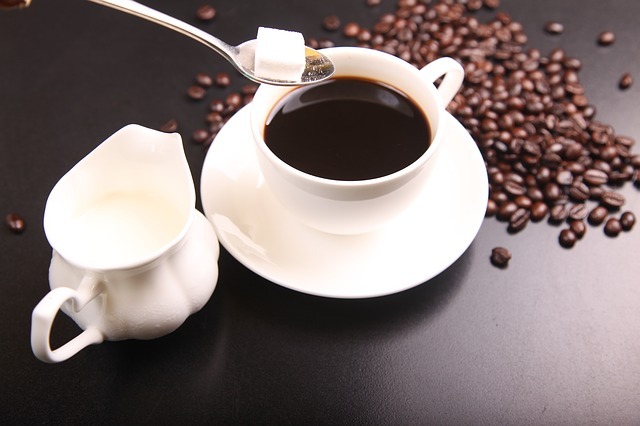 In 1710, they steeped coffee grounds in a linen bag submerged in water until the right strength was obtained, much like tea. 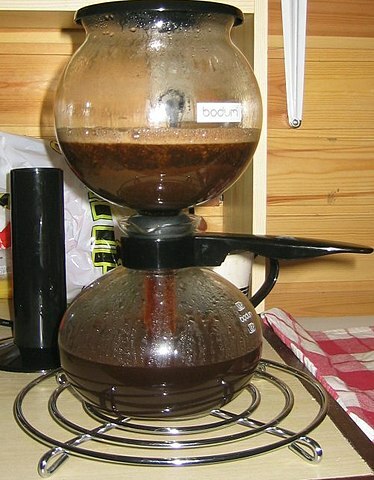 In France, several people came up with contraptions for brewing coffee during the 18th century. Around 1780, the Archbishop of Paris, Jean-Baptiste de Belloy came up with a two-level pot design. A sock, which was a like a drip filter, held the coffee in the top compartment. The water, poured over the filter, would then drain through holes into the bottom compartment and modern drip brewing was introduced to the world. The compartment for the coffee could be metal or ceramic.The strength of the coffee was controlled by how finely the beans had been ground. 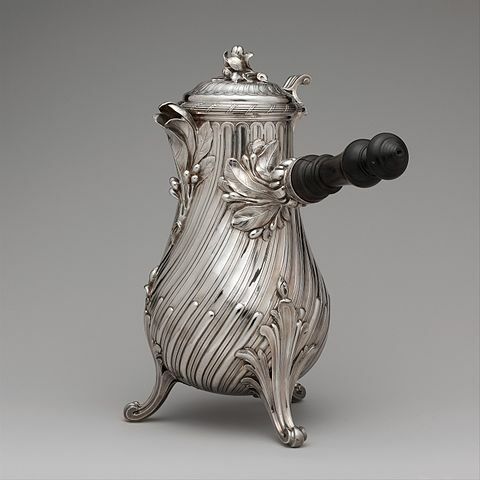 Other innovations in France, included a pumping percolator and an insulated coffee pot. Different articles I read cite different dates for the invention of the percolating coffee pot over the next one hundred years, but it is Hanson Goodrich’s design patented during the 1880s that was the original modern percolator. Place the pot on the stovetop to heat the bottom and steam rises through a tube and as the water condenses again at the top it drips over the drainer basket holding the coffee. The invention of vacuum brewing machines began in 1830’s Germany. A two-chamber device which used principles of heat and cooling to force the near boiling water into the chamber which contained the grounds to then cool and drip through them. (From what I can discern from the description.) In 1930, Inez H. Pierce of Chicago, Illinois, filed the first patent for a self-heating vacuum brewer, the first truly automatic coffeemaker. One of the most important innovations, but also one of the simplest, was invented by a Dresden, Germany housewife. 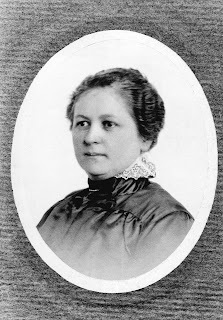 In 1908, Melitta Bentz wondered how it would work if she used blotting paper from her oldest son’s notebook to filter out unwanted residue. She punctured the bottom of a brass pot and set the paper in it. A less bitter, filtered brew resulted. She applied for a patent for her discovery in Berlin, later that same year. 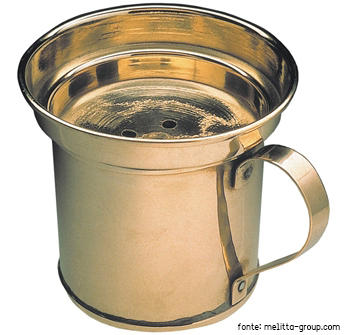 Over the years the Melitta filters have changed with the times and are still used today. It was the pre-cursor to the automatic drip coffeemaker. Cup and 1908 style basket for Mellita's paper filter. The Moka Pot was invented in the 1930s. This was a stovetop coffee brewer that used hot water pressurized by steam. It is still produced by Bialetti Industrie today. 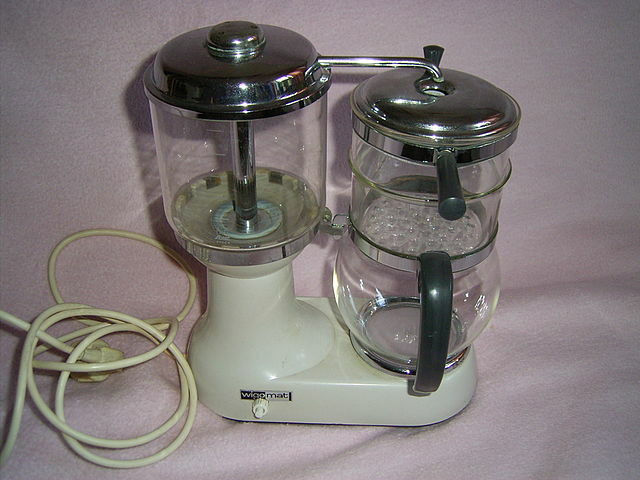 And finally, while there were other incarnations of the electric drip coffeemaker, starting in 1950’s Germany, the trademarked Mr. Coffee brought automatic drip coffeemaker to the average American household in a big way in 1973. This self-contained system not only heats the water which was siphoned into an upper chamber to be sprayed over the grounds, it also keeps the drip-prepared coffee warm. Later came the single serve Keurig coffeemaker. There are other inventions I haven’t covered here. They were more numerous than I expected. I’m wondering what coffee-brewing invention is next! In 1900, two wounded souls find each other in a small Michigan town that doesn’t like secrets. Sophie Biddle passes off her illegitimate toddler daughter, Caira, as her younger sister. Pastor Ian McCormick reaches out to help them as he battles the failures of his past. Sophie’s only desire is to raise her daughter respectably, in peace, as she works as a housemaid. Soon rumors about her sordid past travel through Stone Creek. 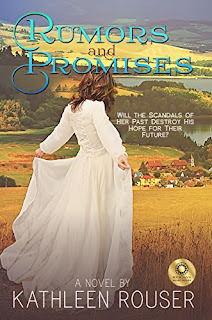 Ian must decide whether to support her in her time of need, when to do so could threaten his calling. The pair must choose to trust God and forgive those who slander and gossip, or run. Will the scandals of their pasts bind them together forever, or drive both deeper into despair? Fantatstic history about coffee and the way its been brewed through the years. I remember the electric percolator and small metal pot being used by family members. It took time for that fresh brew cup of coffee and now it's only seconds with the Keurig. I still prefer my Mr. Coffee pot instead of the expensive K-cups that are filling up landfills. I've reading reading your books and look forward to the next one you release. 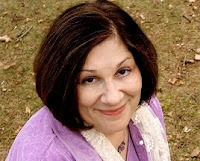 Hi Marilyn, thank you so much for stopping by and for your encouragement for my writing. It means a lot. I remember the percolator at my grandparents' house and also my mom using one when she had company. You showed me more than I ever knew, or wanted to know, about brewing coffee, lol. I am one of the rare non-coffee drinkers to boot, my aunt used to laugh and tell me "You don't even make a good Norwegian", which I am half, lol. Thanks for stopping by, Kim. I'll add your name to the drawing. Thanks for the interesting facts about coffee. I often wonder how the cowboys could drink that stuff they did out on the range. My great-granny had a vacuum pot at the farmhouse, and I still have one aluminum percolator and one electric percolator. The aluminum one sure came in handy when the electricity was out for almost a week after Hurricane Ike. Not sure my hubby would have made it without his morning coffee. A friend has a silver French one like the one pictured, but I've never seen her use it. It sits on a shelf in her China cabinet. Hi Martha, some days I prefer coffee flavored milk too! ;) Glad you enjoyed the post. cabinet. I sure appreciate your comment. this is a great post. it is interesting how coffee makers have changed over the years. while i was growing up mom had an old silver peculator. Kind of reminds me of what i would think of with pioneers having. mom went through a lot of different kinds of coffee makers. when our son was in boy scouts, they did a lot of camping, the men would just put the grounds in a sauce pan with water. my husband was always so glad to get home and drink coffee with out grounds. LOL this looks like a fantastic book. thanks for the chance. 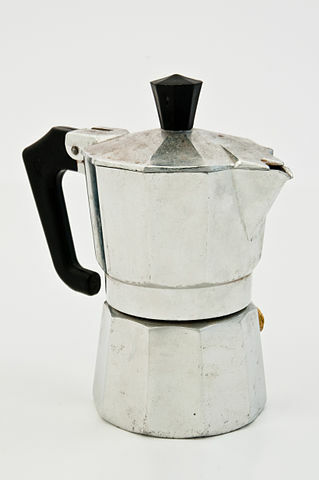 an aluminum percolator. Sounds like each Boy Scout troop needs a French press! That's one I didn't cover. Glad you enjoyed the post. I'm not a coffee drinker, but I enjoyed your post. I haven't read any of Kathleen's books, but I've heard a lot of great things about this one. I'd love the chance to win. Rumors and Promises, Winnie. I will certainly enter you in the drawing. Thanks for sharing these different coffee makers. My husband doesn't drink coffee so I just use instant for my morning coffee but I do enjoy aagood cup of brewed coffee. Thanks for stopping by, Connie. Instant coffee sure comes in handy sometimes. enter you in the drawing. then I was off to an appointment and visiting a sick friend yesterday. Promises! I'll be contacting you by email shortly.